100% enable Microsoft Project Professional 2016 serial key is on sale here in www.keysaleonline.com. Key Sale Online has been approved to be the most trustable online store to buy Microsoft Project Professional 2016 key code at affordable prices. Enjoy effective www.keysaleonline.com with retail Microsoft Project Professional 2016 key code. Action Now, support Paypal to checkout. This Microsoft Project Professional 2016 product is absolutely Genuine license key. Activate Microsoft Project Professional 2016 version (32 bit & 64 bit) and support Microsoft Online Update. One Key For One Computer. One Microsoft Project Professional 2016 product key works permanently on one computer. Forever useful to reinstall the Operation System or Application Software. 100% Genuine Office Product Key at Key Sale Online (www.keysaleonline.com). Best Prices Guaranteed for Microsoft Project Professional 2016 Product Key just $32.99. Free Shipping. The key code will be sent to you by email in 6 hours after your payment. Easy Download. 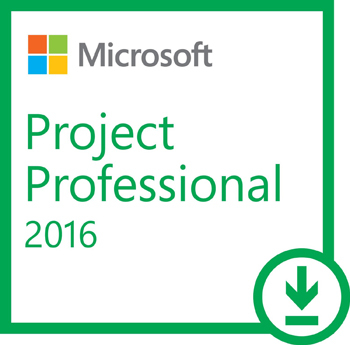 The download link of Microsoft Project Professional 2016 will be sent to you by email if needed. Security Payment. We accept PayPal and PayPal's Credit Card as the standard payment method. Excellent Customer Service. We are always trying our best to give Top-Notch customer service, serving you around the clock 24/7. 1. The Microsoft Project Professional 2016 key can only work on the latest genuine version, not for OEM, Trial, Preview, Evaluation or other non-genuine version. If you have pre-installed such versions, please make a clean installation of the genuine version. 2. Please accept the remote help via TeamViewer in case you cannot solve some problem yourself. No Packing, No Shipping, No Waiting: There is no shipping or packing required for the electronic software download and Email delivery of the key, reducing its environmental footprint. 1. How long will I get my key? We are not machine. Please allow 1-6 hours to process your order. Usually the key will be sent in 1-6 hours after the payment is successful. No more than 12 hours. There may be some delay on the weekends. 2. I have paid more than 24 hours, but I still receive nothing. What should I do? How long can I receive my key? First, please check your mail box carefully, especially the Spam. If you still find nothing, please contact our service team. Besides, it's strongly suggested to leave common mailbox, like Gmail, Yahoo Mail, Hotmail, for smooth delivery. Sometimes, some special mailboxes stop our email. 3. I receive my key, but it doesn't work. What's wrong? First, Sorry, Very Sorry for this. Please confirm whether you install the correct version from the link we send to you. If yes, please email us with your detailed question. If possible, please send us the screenshot of the error message. Then our tech team can solve the problem more efficient. Your kind cooperation is highly appreciated. 4. I wanna buy Microsoft Project Professional 2016 Key, but I need to know what your guarantee is. If I have problem in the future, what should I do? Our guarantee policy is our biggest advantage. We offer 30-day refund guarantee and whole-life guarantee to all our keys. No matter what problem you meet, please just contact us by email. Policy | Contact us | About us | FAQs | More Products List | Copyright © 2010-2019 Key Sale Online. All Rights Reserved.